We have watched all kind of Trash the dress. First water and next fire with dangerous results. Never it is enough. 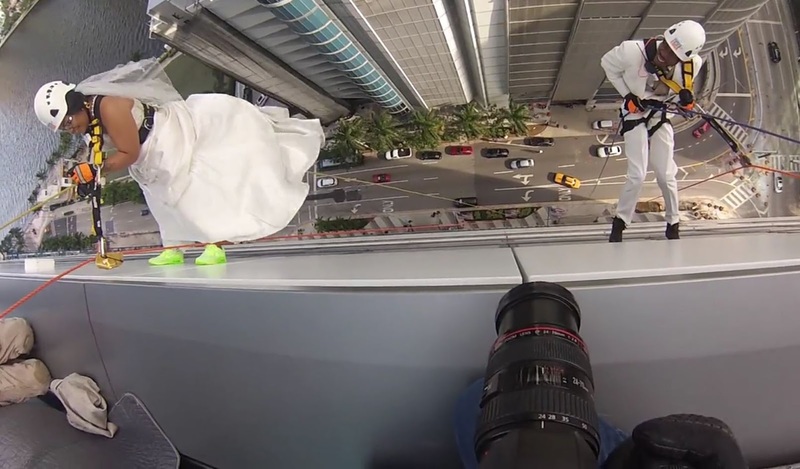 This is a short recap from the rappel section of the 2016 Miami Over The Edge wedding.